Members of the Fellowship Candidate Selection Committee and Aspinites still at Yale. Front row from left: Harry Mazadoorian (Member ’60), Fritz Steele (Member ’60), Douglas Guiler (Member ’60), Erin Schutte (Recipient ’11/Editor), Gary Eisenburg (Member ’86), Allison Mandeville (Recipient ’14), Owen Cykle (Member ’60), Lindsay Perlman (Recipient ’14), Charles Schmitz (Chairman ’60), Jim Trowbridge (Member ’60). Not pictured: Bill Monahan, Member ’86. Photo taken March 2015. The Yale Class of 1960’s Les Aspin Summer Fellowships were begun in 1999 to support summer projects or internships for Yale College students after their sophomore or junior year. They are awarded yearly to students whose interests fall within several areas: global affairs/ international relations; national security; and public service. These are consistent with the example set by our classmate Les Aspin, who had a long history of service as both a Member of Congress and as Secretary of Defense while making numerous contributions to his state and the nation. The Fellowship’s purpose is to provide resources for students’ summer experiences that will expand both their knowledge and practical experience in research, analysis and policy-making, as well as often feeding directly into their senior projects. It also can provide information about the viability of career options in the student’s area of interest. The Aspin Fellowship support has become even more critical over the years, because many of the projects are internships in DC and abroad and almost all are unpaid. (The concept of a “paid internship” has become quaint and gone the way of the passenger pigeon.) Without support such as the Aspin Fellowship, many students would have little chance to dedicate their summers to exploration and learning. The Aspin Fellowship is administered through key people within Yale’s Jackson Institute for Global Affairs, whose hard work has been invaluable. It has been very exciting to be involved with the Institute, which is central to Yale’s rapidly developing role as a major educational force in the areas of international affairs and national security. For the Aspin Committee members, returning once a year to meet the candidates and make awards decisions is like seeing time-lapse photography documenting this growth. The same could be said for our experiences with the applicants and ultimate Fellows: they continue to be more and more accomplished in terms knowledge, energy, understanding of world dynamics, and commitment to serving those around them. Almost all of them have already been engaged in public service to the Yale community and beyond for several years. We can’t take credit for encouraging such contributions (since they’re already making them) – we’re just trying keep up and nudge them along. Finally, there has been a steady development over recent years toward one other resultant of the Fellowship: creating a meaningful community experience where Aspin Fellows recognize, connect with and learn from one another through a sense of common identity and shared purpose. This growth is especially the result of the ideas and work of several recent Fellows who somehow manage to find ways to enhance the common identity while engaged in all of their other pursuits as well, and we are very grateful to them for their commitment and contributions. The Yale Class of 1960 Les Aspin Fellowship Committee has selected three Yale juniors to receive awards for their summer 2015 internships to sharpen and deepen their explorations of how economic, public health, and refugee policies relate to national security, broadly defined. Two of them are bound for China and one for Switzerland. Laureates are Aaron Berman to the American Consulate in Guangzhou, Andrew Grass to the American Embassy in Beijing, and Zoe Rubin to the International Organization for Migration in Geneva. 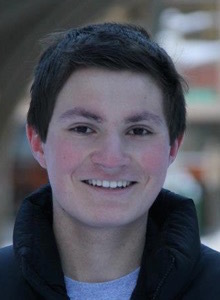 Aaron Berman is a Global Affairs major concentrating on economic development and is enrolled in the Five-Year BA/MPH Program at the Yale School of Public Health. He has studied Chinese for three years at Yale and one summer in Beijing. Aaron writes that the recent Ebola epidemic has awoken international consciousness of the importance of quelling disease outbreaks not only from a humanitarian standpoint, but also in the interest of ensuring domestic and international stability. His internship in Guangzhou will focus on China’s infectious disease control policies and the interplay between U.S. interests and disease containment. 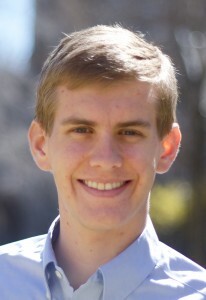 Andrew Glass ’16 from Nokomis, Florida, majors in Economics and Global Affairs, and has studied Chinese at Yale and one summer in Beijing. He will intern in the Economic Strategy and Investment section of the American Embassy in Beijing, which handles bilateral investment issues between China and the U.S., but also analyzes China’s economic diplomacy. Andrew anticipates that his work during the summer will help him understand how U.S. foreign policy actually works on the ground, thus providing him a better base for his long-term interest in working in the foreign policy world. Zoe Rubin, of New York City, majoring in History and Global Affairs (International Security) at Yale, will build upon her internship last summer in the State Department’s Office of International Labor Affairs, where she intensified her interest in human rights, particularly those of migrant workers and refugees. In Geneva, Switzerland, she will work with the intergovernmental Organization for Migration, which promotes orderly and humane migration and assists victims of forced migration and labor abuse. Zoe plans to spend part of her time in Geneva studying Switzerland’s own domestic workers issues.